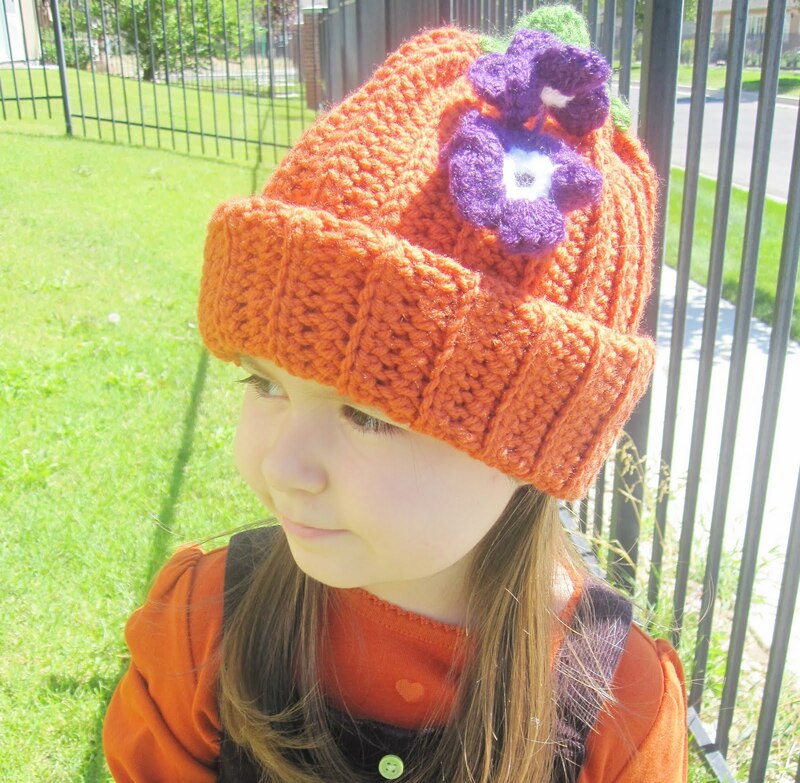 A few weeks ago I blogged about the pumpkin hat I made for my friend's little boy, well immediately upon seeing the hat my friend knew she wanted one for her daughter. 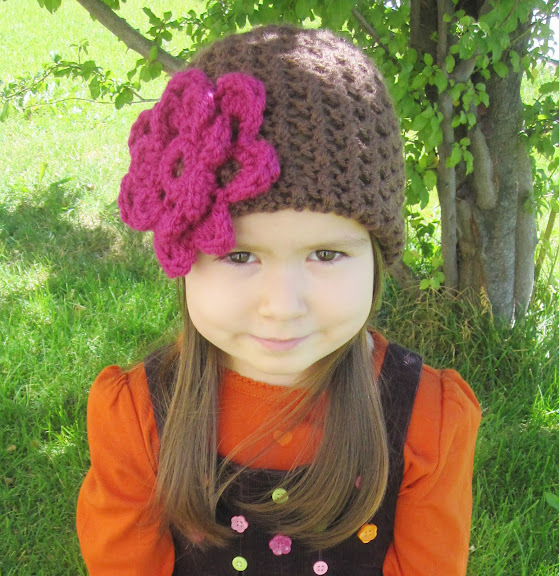 I made this one with cute, little purple flowers to add a cute girly touch. 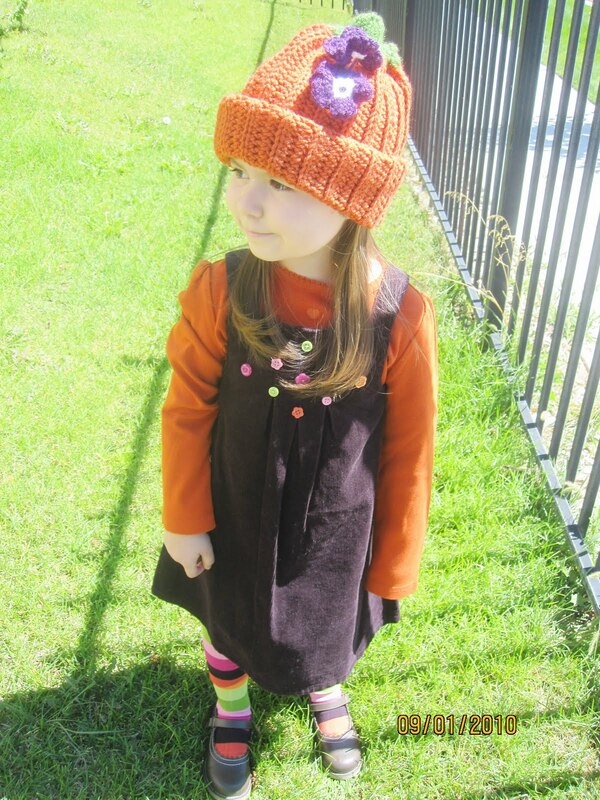 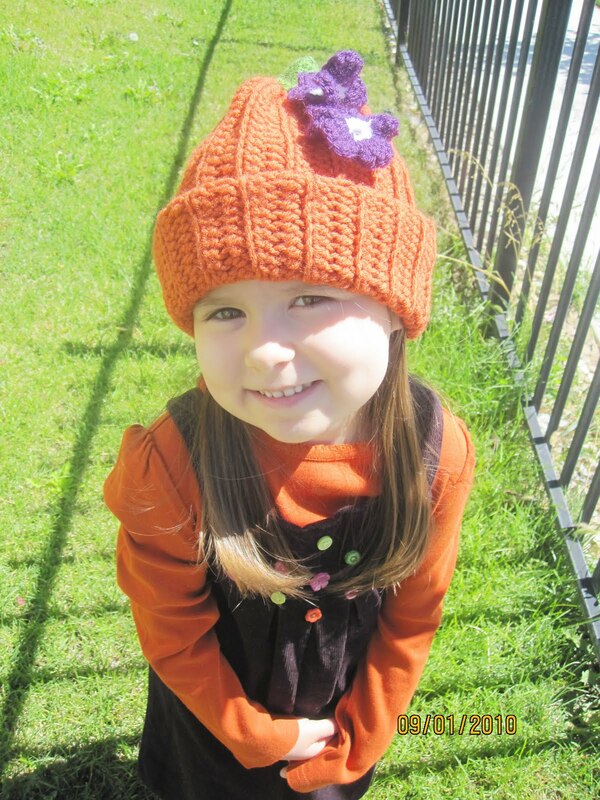 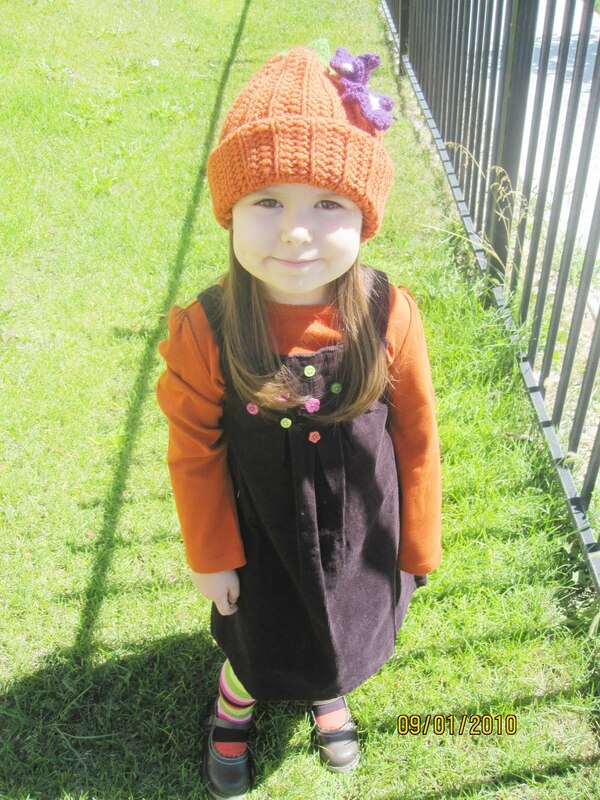 She was also the winner of one of my give aways, so she won her adorable daughter this super cute beanie. Brooke is a perfect little model. 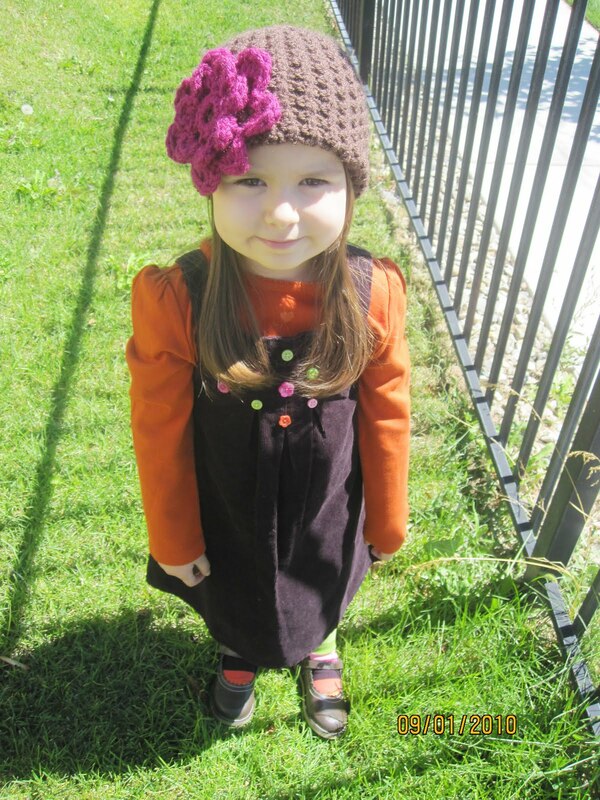 What a cute little hat! I love the color pumpkin. 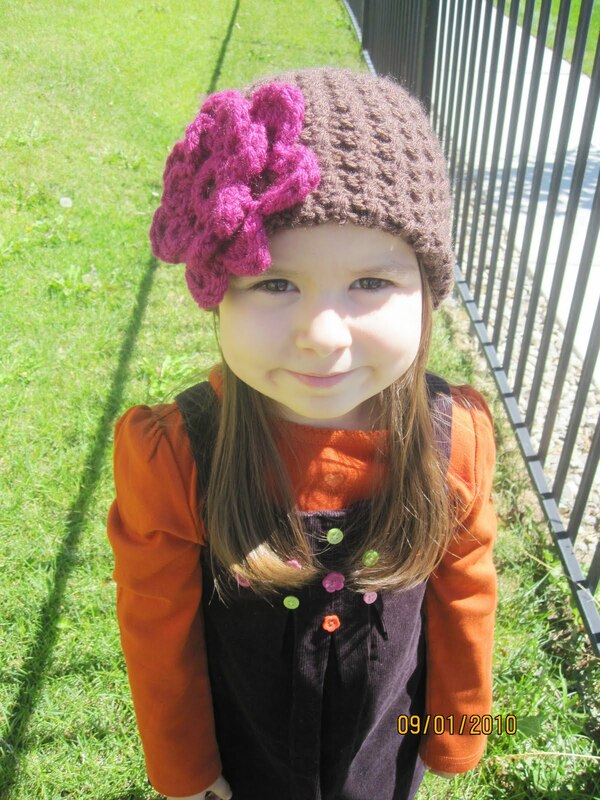 Andrea's little girl is adorable!